As President of the New York Stock Exchange, I’m fortunate enough to work with many of the world’s leading companies as they conduct their initial public offerings (IPOs). Our team has helped innovative companies from small-cap to mega-cap across all sectors successfully complete IPOs in a variety of market conditions, and I frequently speak with private companies who are working up to that milestone. It’s challenging to pinpoint the right time to go public, particularly in the current era where we’ve seen market volatility crop up suddenly and often without warning. While the right time is different for each company, there are a few common traits that IPO-ready companies share. Accurate financial revenue and cost projections are a crucial component of a business strategy and play a key role in a company’s success, particularly as a public company with institutional shareholders. Missed projections can have a sizeable impact on a company’s valuation and ability to raise debt or raise equity capital again. Accordingly, developing accurate forecasting and budgeting functions while your company operates privately is an important step in proving the accuracy and consistency of your financial reporting to gain credibility with investors. 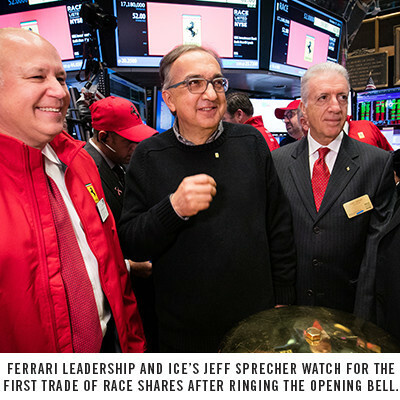 You’ll be expected to share records of historical financial statements and forecasts during the IPO process. Your company’s underwriters could recommend a precise number of years for which you should have audited records. The team that has led your company through its rapid growth until this stage may need to adjust in order to lead the company once it’s public. Do you have public company experience in your C-suite? Are they the team to take growth to the next level? Planning your organizational structure in advance of going public can help add stability and efficiency when it comes time to expand and introduce new employees to the organization. It’s important to think about your team structures, roles and responsibilities, and lines of reporting ahead of your IPO. For example, you’ll likely want to focus on increasing your accounting and finance staff, and possibly developing more of a focus on external communications. One particular area you may not have had to consider as a private company is your investor relations (IR) team. You’ll want to have an experienced investor relations officer or possibly an IR consultancy in place, along with a robust IR infrastructure that enables your company to effectively communicate with the market. You’ll want to be in a position to consistently close your quarterly financial statements on time prior to going public. Even companies backed by private equity and venture capital that provide regular reporting to their board and sponsors can find the extra rigor of preparing full financial statements challenging at the beginning. Going through this exercise in advance helps you prepare for public reporting obligations and may unearth needs for additional staff for reporting, internal controls or other areas related to financial planning and analysis. As a regulated public company, you’ll be subject to regular accounting audits. To prepare, it’s a good idea to conduct a number of internal audits before your IPO. The auditor will review your financial records and internal controls to identify any potential issues and outline solutions. When your company enters the public equity market, your valuation may be impacted by the price/earnings multiples of your publicly traded peers. Your financial sponsors and underwriters will evaluate the valuation environment to help you set realistic expectations. The market conditions at the time you IPO will have a bearing on what valuation level can be expected initially, and then your performance as a public company will help establish your valuation over the long term. The obvious reason for going public is to gain access to capital markets and establish a currency for raising additional capital, conducting M&A and rewarding employees with equity-based incentive compensation. In addition, the capital raised through an IPO can be a critical source for funding research and development, new products, capital expenditures, acquisitions and ongoing operations. An IPO is seen as a major milestone in a company’s evolution, and becoming publicly traded is often seen as a strong indicator that your business is able to satisfy stringent compliance and governance standards. And of course, another incentive for taking your company public is to offer your early stakeholders liquidity and the chance to realize a return on the risk they took to invest in building and growing the business. Your strategic roadmap is the blueprint for your company’s investment story. It explains your business in a compelling way while also providing a clear strategy and operating plan for growing the business to provide the investment returns that prospective shareholders expect from a public company operating in your sector. When you go public, your strategy will drive the investment case and articulate management’s vision for the future. The process leading up to your IPO is extensive, but preparing early and thoroughly can make all the difference. For more in-depth information about going public, we created the NYSE IPO Guide, but a few initial considerations are below. Focus on governance – It’s typically best to start filling out your board 1.5 – 2 years before you plan to go public. As you’re building your board, keep in mind that you’ll want to include a diverse range of experts with executive and/or governance experience. Board requirements for public companies include having a majority of independent directors, implementing an audit committee that is made up of a minimum of three directors who meet financial literacy and independence standards, as well as having a committee of independent directors charged with compensation and corporate governance standards, among other requirements. Begin planning for financial reporting a year ahead – There’s a lot to accomplish as you prepare for public reporting. Our IPO Guide has more in-depth considerations, but here are a few tips to remember: Begin by looking at your company historically with the intent of auditing and solving any existing issues. Next, look at your company’s current routine. Ensure your financial quarters close at standard times for public companies; if necessary, look at companies in your vertical to see when they’re reporting. And understand the expectations of analysts in your sector to ensure that you are prepared to report on the metrics investors use to understand your business. Hold mock earnings calls – The old maxim "practice makes perfect" definitely applies here. How your company reports periodic earnings results and explains its performance and outlook can have an impact on your stock price. To help prepare for this crucial form of market communication, practice both the prepared remarks of an earnings conference call as well as the Q&A portion of the call. Establish communications policies, adhere to Reg FD and manage your online presence – Compliance with Reg FD (Fair Disclosure) is mandatory and critical to any company’s compliance with securities law. In addition to reviewing the information you disclose, be prepared for investors and broker analysts to research each member of your management team as well as the board directors. It’s important to do your own Internet searches - at least two or three pages past the initial search results page - to determine what information is in the public domain with regard to your team. Similarly, be sure sufficient information about them is available on your corporate website, as this is a primary channel for investors. And, of course, you’ll want to consider social media profiles and how your employees are representing the company in those public channels. Minimizing IPO execution risk with the NYSE's unique, proven market model – The NYSE’s unique market model combines leading technology with human judgment to prioritize price discovery and stability over speed for our listed companies. The result is that our companies experience 40% lower volatility on average than other U.S. exchanges on listing day. Maintaining lower volatility In addition to lowered volatility on IPO day, the NYSE¹s market model offers up to 34% lower volatility during lock-up expirations, 35% lower volatility at daily opens and up to 39% lower volatility at daily closes. 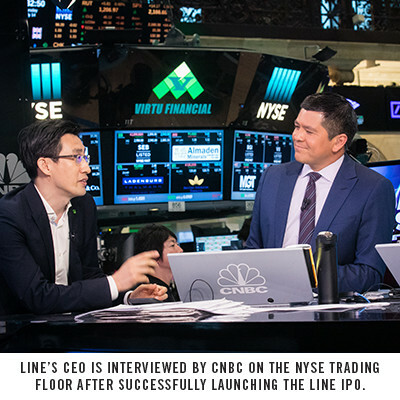 Raising capital on a truly global platform with the deepest liquidity – Over the past decade, the NYSE has raised $375.7 billion in IPO proceeds, and we continue to be a world leader in global capital raised. 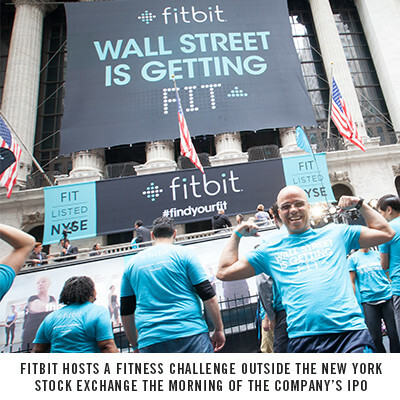 Gaining unmatched global visibility, brand awareness and prestige – Whether it’s being photographed outside 11 Wall Street or sharing your story with the 30+ media outlets that broadcast from NYSE’s trading floor or the 1.4 million people who follow us on Twitter at @NYSE, we can help you use our global visibility platform to drive real business results. A leading network of peer companies across all sectors – We’re home to 98% of the Dow Jones Industrial Average, 78% of the S&P 500, 77% of Fortune 100 companies and 88% of the Ad Age 100. Best-in-class IR services and networking opportunities – Comprehensive IR services for NYSE-listed companies include direct access to an NYSE Designated Market Maker, the NYSE Connect market data mobile app and desktop, access to our private IR community and summits, detailed ownership insights and investor targeting tools, leading website design solutions and quarterly earnings webcasting, communication tools through a PR and social media partnership and more.